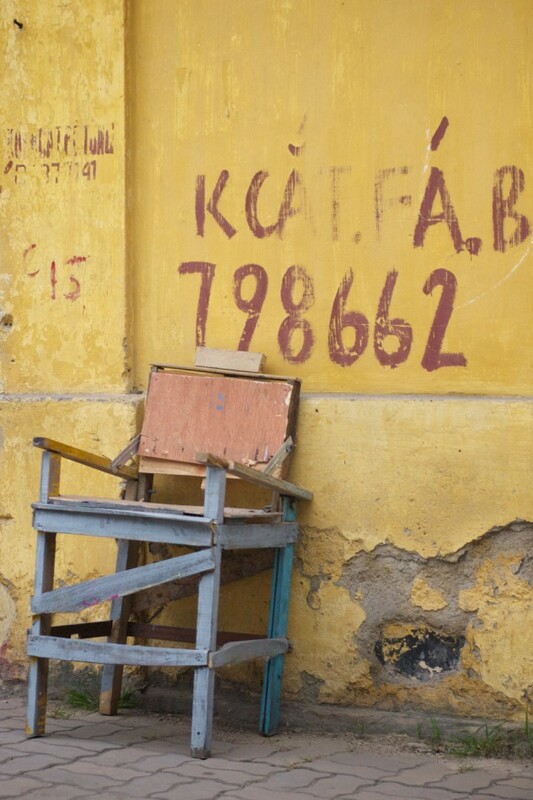 Jan 22, 2012 | chairs, colors, decay, empty, flaking paint, furniture, graffiti, still life. Waiting for an occupant along one of Hai Phong’s main street. This is a great capture. I can only imagine the story behind this. Wonderful. Got here from Thursday Challenge. Blessings.